Made of 30% nylon/40% SBR/30% polyester/bamboo. Wrap joints in healing warmth. Bamboo fibers are known for their healing properties and breathable softness. 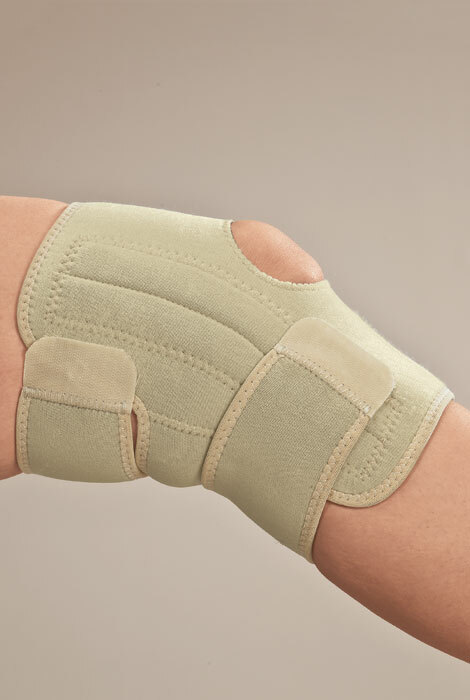 When used in joint supports, bamboo helps hold in body heat to alleviate stiffness, promote flexibility and improve circulation. Hook-and-loop closure provides an easy on/off, adjustable fit. Made of 30% nylon/40% SBR/30% polyester/bamboo. 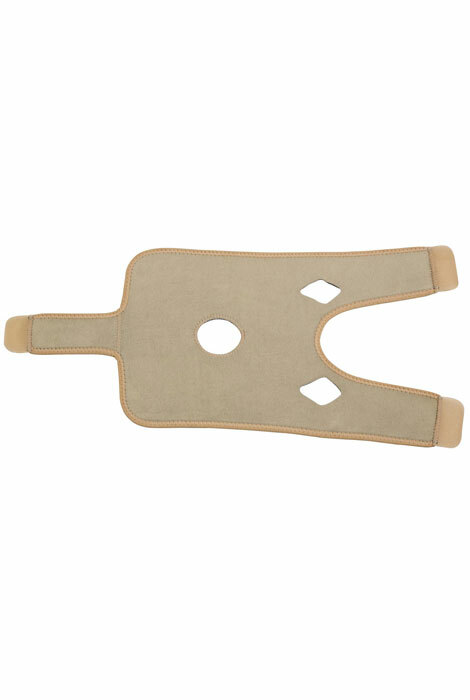 Hand wash.
Bamboo knee support with stabilizer features 2 rows of stays to relieve painful, weakened joints. Knee cap cutout allows for easier movement. One size fits most; bamboo knee support can be worn on either leg. 9 1/4" L x 22 1/4" W with straps. I’m having knee pain, I like that this knee brace is adjustable. Husband hurt knee and the compression will probably help.